“I thought we defeated you people in World War II” – Rep. Claude Pepper in a heated debate with Reagan Republicans who wanted to cut Social Security. Today, that same question could be asked of the tea party whose ideological kinfolks were defeated after the outlawing of Jim Crow in 1960 and, of course, after 2008 and 2012 when a multi-racial coalition of labor and progressive forces elected and re-elected the first African American president. When is somebody in Washington going to tell it like it is? 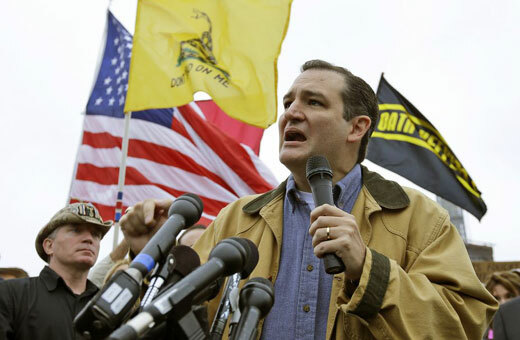 The tea party is not your typical conservative group. They are way to the right of most conservatives. They are as close to fascist as you can get away with today. Going by what they say, if they also had control of the Senate and the White House, millions more people of color would lose the right to vote, would be incarcerated, would be forced into deep poverty and would be permanently unemployed and joining the ranks of the hungry and homeless. If they had control, Roe v. Wade would be on its way to repeal, millions more immigrants would be rounded up and deported, Social Security, a lot more of our schools, and our public services would be forced to privatize. Millions more would have no health insurance and no prospect of coverage. Our nation would face default, bankruptcy and financial ruin; dragging the economies of the world down with it. If they were in control, the rich will get richer, unions would be virtually outlawed, wages will fall to new depths. Green jobs would be shrinking instead of growing. Fracking, air and water pollution would accelerate to perhaps irreversible levels. The size of the federal government, which means programs and millions of workers, would be drastically reduced. In short, the American people would face a huge new social, financial, economic, environmental and political nightmare and so would most people around the world. The danger of many more military conflicts; even world war would escalate as nations fight over resources, jobs, and who will be top dog. If they had their way Obama would be impeached, the level of blame-the-victim racism and bigotry would reach new heights. There would be a rash of anti-working class legislation to reverse years of progress for the working class, unions, civil rights, women, and LGBTQ people. Their worldview that more wealth for the one percent is necessary before any relief is possible for the working people is a heartless scam to uproot and destroy rights. This fight is not just about Obamacare, although it must not be repealed. It is about more democracy for the people vs. a greater dictatorship by the one percent. They planned their well financed scheme to bring the government down, starting right after Obama’s re-election. The shutdown of the federal government has imposed extreme austerity on the nation. It has cut every federal program, laid off 800,000 federal workers, financially devastated millions of working class families, and damaged what recovery there was. They are reversing the results of the election they lost. Sam Webb in his article in the People World, calls it “a very American coup,” and he is correct. They have pulled off a political coup. Call them wing nuts or whatever you will but they act like fascists and people should react with the urgency that that threat calls for. If the 2014 election goes their way they will increase their power qualitatively and the nightmare begins. This is very dangerous. The nation is in an uproar. It is time for action. I’m tried of the media treating this thing like a squabble between two equally irresponsible groups. The Democrats have their faults and flaws. It is no secret that too many Democrats are in Wall Street’s pockets, are blue dogs and/or afraid to fight. But to equate them is a huge mistake. It is to play into the tea party’s hands. The media is showing sharp political bias towards the right. Most recent polls, however, show that the people understand who really is the main culprit. It’s no accident that the Congressional Tea Party Caucus is overwhelmingly rich, has only one black member and a few Latinos. Out of 47 in the House and five in the Senate they have only seven women and of the 52 members in both chambers, 41 come from the South and 36 from states that were once a part of the old Confederacy. The Republicans are split. They are losing popular support, including sections of their corporate backers. It’s time to defeat them again. Mass protests are in order against the tea party shutdown and their attempt to block rising the debt ceiling. The tens of thousands who are signing up for the Affordable Health Care Act are part of the fightback. The tea party can and must be defeated. And by all means; voters need to be educated and mobilized if they are to be defeated. Next year, organize and vote like your life depends on it because it does. 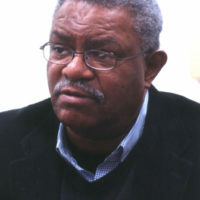 Jarvis Tyner is former executive vice chair of the Communist Party USA and a long-time member of the party's national board. He was a founding member of the Black Radical Congress and served on its national coordinating committee for five years. Tyner joined the Communist Party USA at the age of 20. After several years working in various industrial jobs in the Philadelphia area, where he was a member of the Amalgamated Lithographers and the Teamsters union, he moved to New York in 1967 to become the national chair of the DuBois Clubs of America, and later founding chair of the Young Workers Liberation League. He was the Communist Party USA candidate for vice president of the U.S. in 1972 and 1976, running with party leader Gus Hall. Tyner has been an active public spokesperson against racism, imperialism and war. He has written numerous articles and pamphlets and appeared on the media, campuses and in other public venues advocating for peace, equality and the socialist alternative.